In November 2012, the EHF strongly opposed the nomination of the Maltese candidate Tonio Borg as EU Commissioner for Health and Consumer policy. We thought that his ultra-conservative views on a number of societal issues (abortion, contraception, LGBT’s rights) could be damaging for the quality of health services enjoyed by European citizens. We led this campaign towards EU decision makers with several other NGOs. Tonio Borg’s nomination was eventually confirmed but this campaign cleary raised EU decision makers’ and citizens’ awareness on the need to watch him out while dealing with health issues. 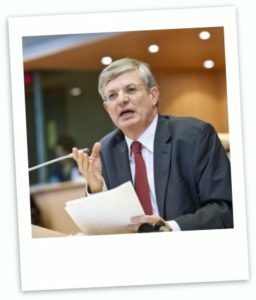 Civil society organisations are calling on the European Parliament to reject the nomination of Tonio Borg as the next EU Health Commissioner and on EU Commission President Barroso to withdraw the nomination of Tonio Borg. On 13 November 2012, the European Parliament’s Committee on the Environment, Public Health and Food Safety will be questioning Tonio Borg, Malta’s new nominee for the post of the EU Health Commissioner. Our organisations are seriously concerned with Tonio Borg’s ultra conservative views on a number of social issues related to EU competencies. We believe that his long term, dedicated, consistent actions, statements, campaigns and voting records conveyed as ‘issues of conscience’ aimed at introducing and implementing policies and practices reflecting his views, are not compatible with the fundamental principles and values of the European Union and would prevent him from being an impartial Commissioner. This is especially the case for the public health portfolio. Tonio Borg’s appointment would be a serious risk to the principles of fundamental rights and a strong signal of departure by the European Commission from those principles. In view of the above, and the Tonio Borg’s documented track record, we call upon the members of the European Parliament not to support the nomination of Tonio Borg and calling on EU Commission President Barosso to withdraw the nomination of Tonio Borg. “As European Commissioner for Public Health and Consumer policy, Dr. Tonio Borg will have full responsibility for EU funded health interventions and strategies” says Vicky Claeys, Regional Director of IPPF European Network. “He would have to deal with a range of issues that are important for European citizens such as tackling inequalities in access to healthcare and the promotion of healthy lifestyles. Both areas should include programmes related to sexual and reproductive health, in particular directed to young people and other vulnerable groups such as single mothers and young people, LGBT and migrants. Thus far the record of Dr Borg does not give any hope that, as a Commissioner, he will act unbiased and respect the needs of all Europeans. As a Commissioner he should not be allowed to be a conscious objector”.